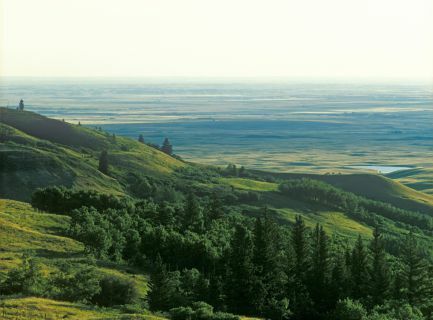 The Park spans the South East corner of Alberta and the South Wwest corner of Saskatchewan. 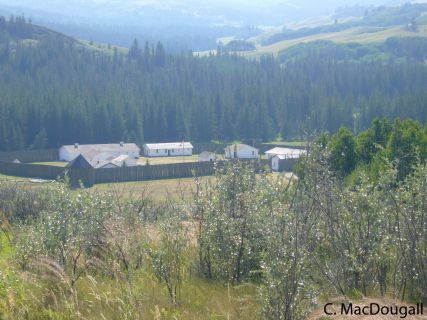 You will also find the National Heritage Site of Fort Walsh on the South side of the park. It is a great place to relax, discover the outdoors or have an adventure. Find out more about the Parks’ geography, cultural heritage and history under Visitor Info. 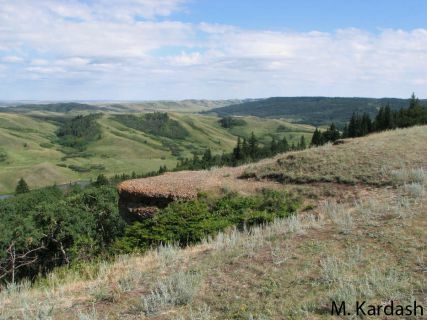 There is a variety of types of accommodation and dining available in the Cypress Hills Interprovincial Park. Camping is the main attraction but for those who wish a little more luxury there are several places to rest up after a long day exploring what the park has to offer. From Bed and Breakfasts to Resorts, and even Ranch Experiences, there is plenty to choose from. Don’t forget that there are backcountry huts for the more adventurous types. 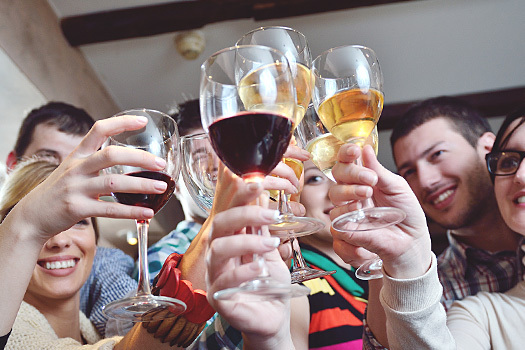 Dining ranges from Pizza to Gourmet Cuisine and there is something for all taste buds. 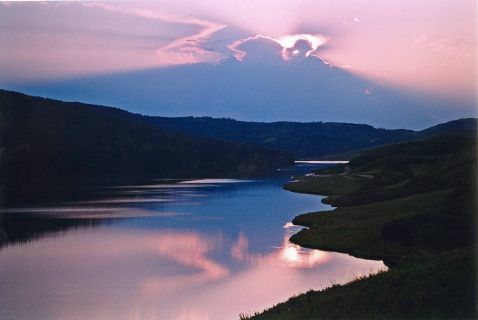 Most services are situated in Maple Creek or Elkwater but you will find some great places in between too. For region specific information please click below. 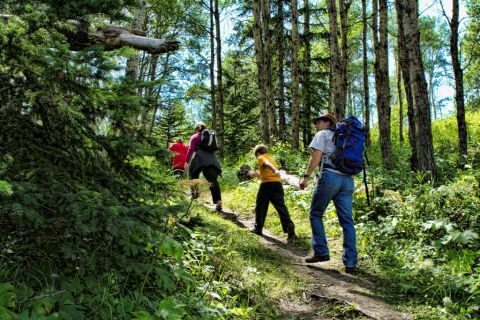 If you have a sense of adventure or looking to get off the beaten track then Cypress Hills has something for you. With zip-lining in the Saskatchewan side, downhill skiing on the Alberta side and hiking trails into the back woods of the forest, there is as much adventure as you want there to be. 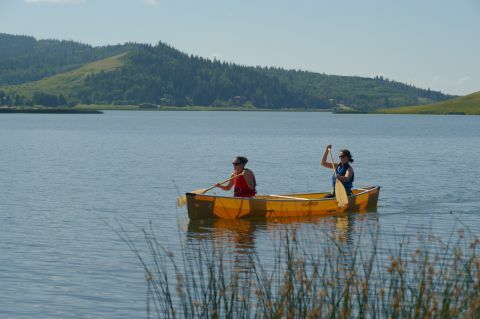 Canoe and Kayak on one of the lakes in the park, travel by car to the viewpoints overlooking the prairies at the highest point between the Rockies and New Labrador or try one of the programs to get you out into nature. 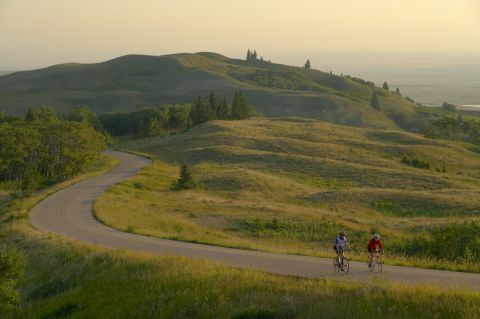 The Cypress Hills has a variety of trails available for biking ranging from paved to technical single track. The casual biker has steady trails leading to some of the viewpoints around the park and around the resort area in Saskatchewan. There is some great road biking to be had in the Park with some challenging climbs for the real enthusiast. 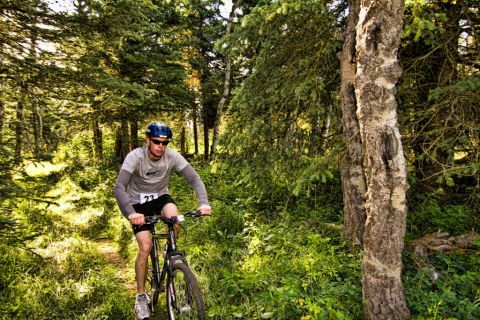 Mountain bikers will find a variety of looped single track around Elkwater and at Fort Walsh the bike is the perfect way to explore the site. 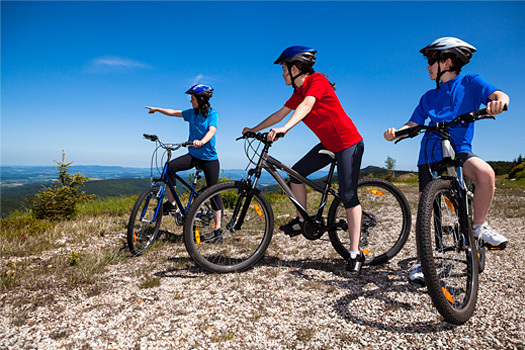 Bike Rentals and service stations are available at some locations. Camping comes in all shapes and forms and all seasons. 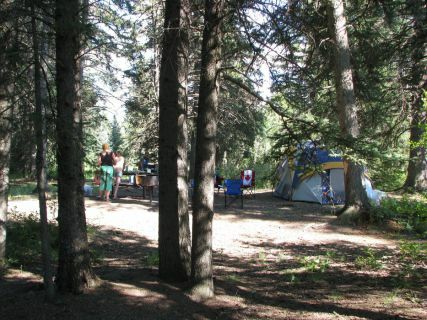 Cypress Hills Interprovincial Park has an abundance of camp grounds to suit your needs. 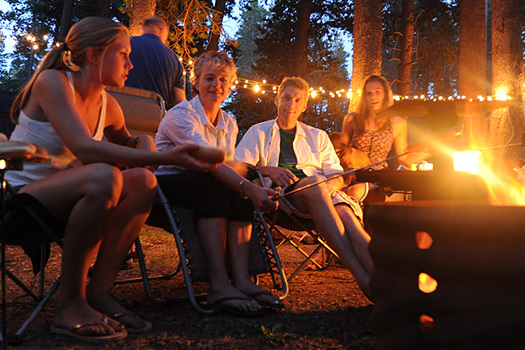 There is RV Camping with power and water, Tent Sites, Group Sites, Back Country Huts and Equestrian Camping. Rates vary between provinces as do the booking processes so please be sure to use the links below to ensure you have the correct area. Equestrian users have a great choice of trails and facilities within the park. 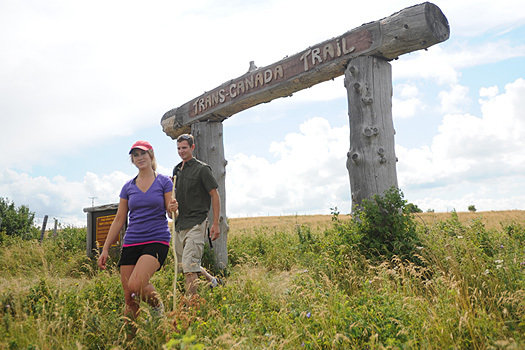 Saskatchewan users have the West Block to explore and includes the Trans Canada Trail. 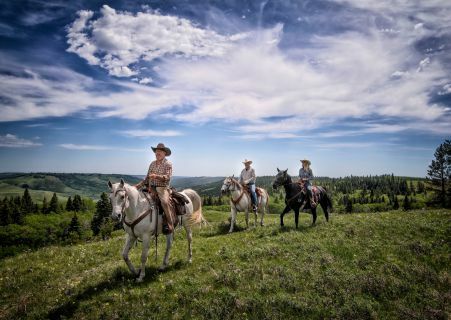 You will also find the “Cypress Hills Riding Academy” located in the Centre Block which offers guided tours and lessons. 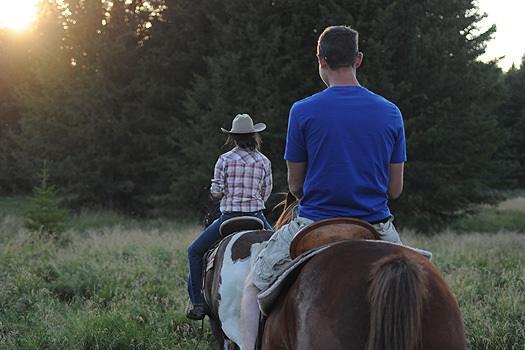 In Alberta there are over 140km of trails and a new Equestrian Campsite. 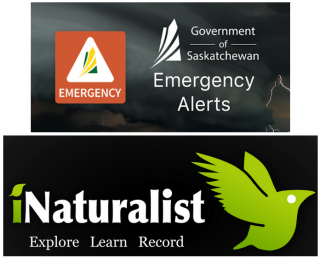 Permits are required for Alberta. 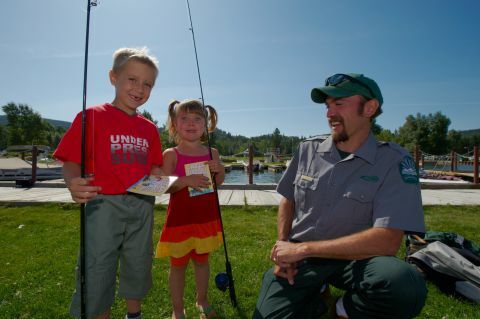 Fishing is extremely popular within the park and there are many stocked lakes to be had with Rainbow Trout, Brook Trout, Walleye, Arctic Grayling, Northern Pike and Yellow Perch. Whether you are into Fly or spin fishing you will find something to enjoy in the park. Regional regulations and permits apply. 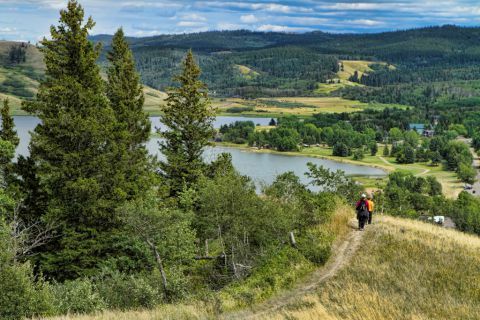 The Cypress Hills Interprovincial Park is unique in its geography and therefor gives some amazing opportunities to get out and hike the landscape. 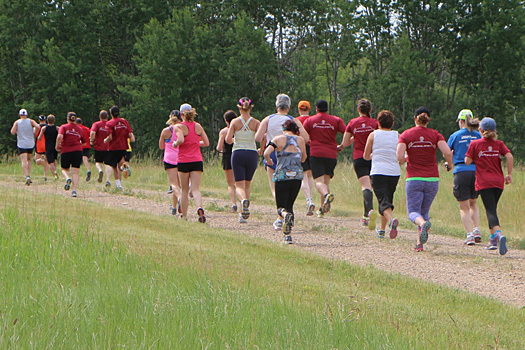 The Trans Canada Trail spans Saskatchewan and Alberta and fort Walsh gives to Historical context to your journey. 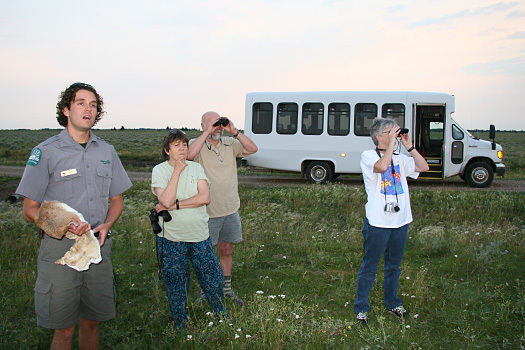 Hiking around the regions is the best way to take in the vistas, fresh air and view some of the wildlife that inhabits the Park. White Tail Deer, Moose, Wild Turkey, Elk are commonly spotted so make sure you have a camera ready! 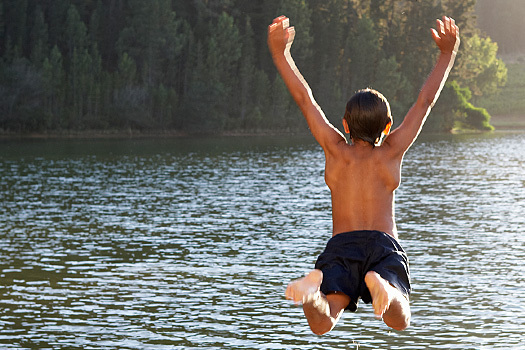 Summer vacation is about camping and having fun.The freedom of no clock watching while the sounds of nature echo all around whether it is a week or a weekend! 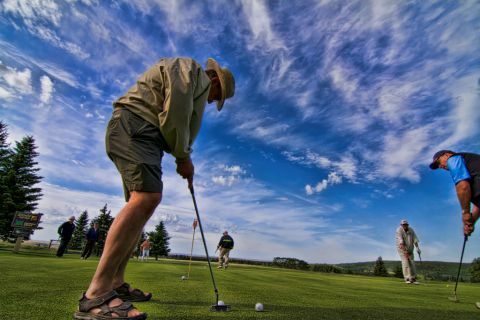 There is so much to do in the Cypress Hills Interprovincial Park that it is next impossible to do it all: wine tasting, water sports, hiking, biking, cultural and historical sites, tours and learning programs, golf and horseback riding. 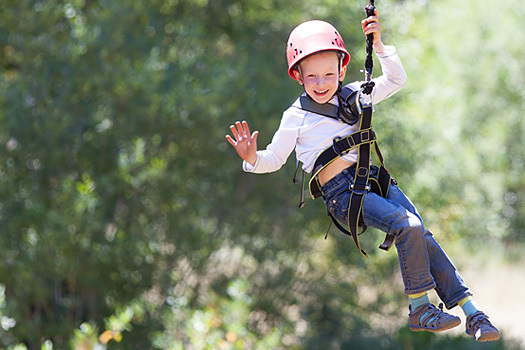 There is zip-lining and single track mountain biking and a whole bunch more. 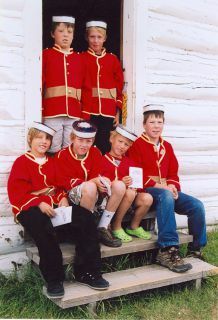 If learning more about your culture, environment and history is your thing, then Fort Walsh is perfect. It has hands-on experience for everyone and shows you firsthand how it was to live in the area as a settler. 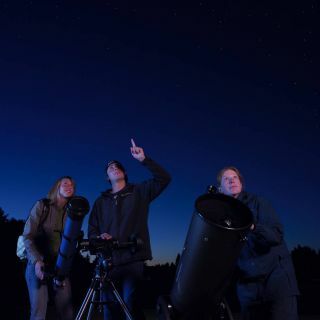 Both the Saskatchewan and Alberta regions have their own unique programs and tours to satisfy the inquisitive minds, the active soul and the Adventurer. 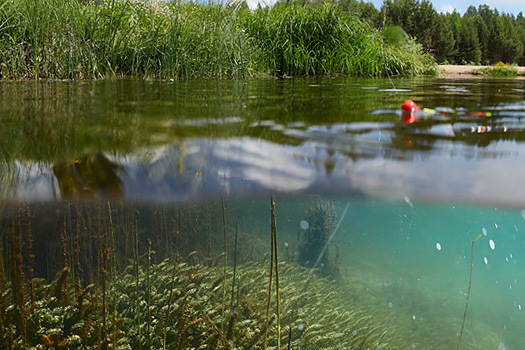 Water is a big attraction for most campers so why not make the most of it and go fishing, rent a kayak, try paddle boarding or water skiing? 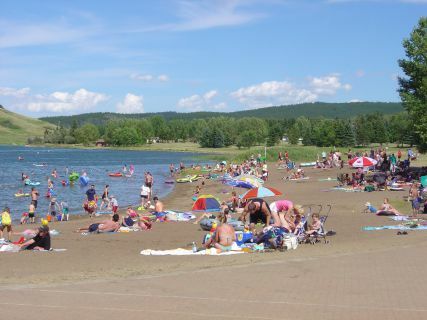 The Cypress Hills Interprovincial Park has several areas in which you can enjoy the water. Bring your boat or sea-doo, where they are permitted, and enjoy the fresh water lakes. There are even opportunities for swimming lessons. Seasonal opening times vary for regions so please check with the relevant Visitor Centre for more information. When the snow falls the elevation of the park at 1234m means it is a great place to have some winter fun. There are plenty of cross country trails, both groomed and natural, snow shoeing and fat biking. You will also find a snow luge (big banked snow slide), natural ice rinks, hockey rinks, ice skating trail and rental equipment just in case you didn’t bring yours. 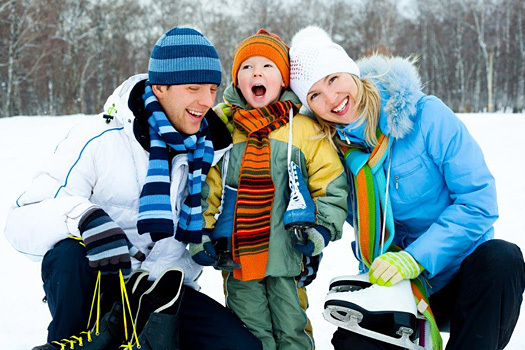 You will also find a ski resort with 600ft vertical and a great place to start snow sports. Winter camping and hut rentals are also available.